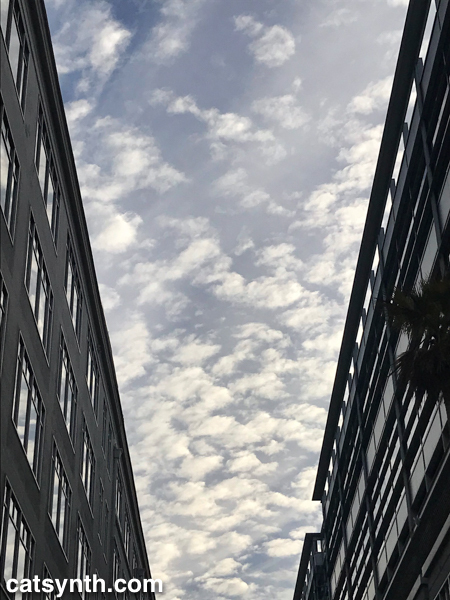 Posted on October 9, 2018 October 9, 2018 by catsynth	This entry was posted in Modernism, Photography, San Francisco, Wordless Wednesday and tagged architecture, china basin, Modernism, Photography, San Francisco, sky, Wordless Wednesday. Bookmark the permalink. That is a very beautiful photo. Thanks for sharing it with us. Thanks for hosting and I hope that you have a wonderful week.